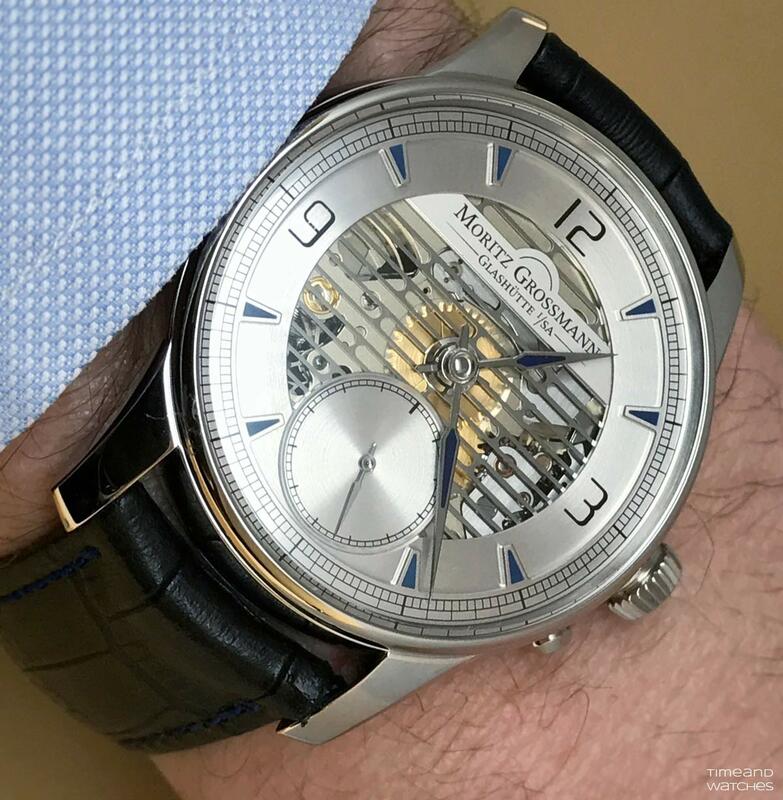 Following the ATUM Pure M introduced in 2016, this year Moritz Grossmann is enriching its Pure family with new dial variations. 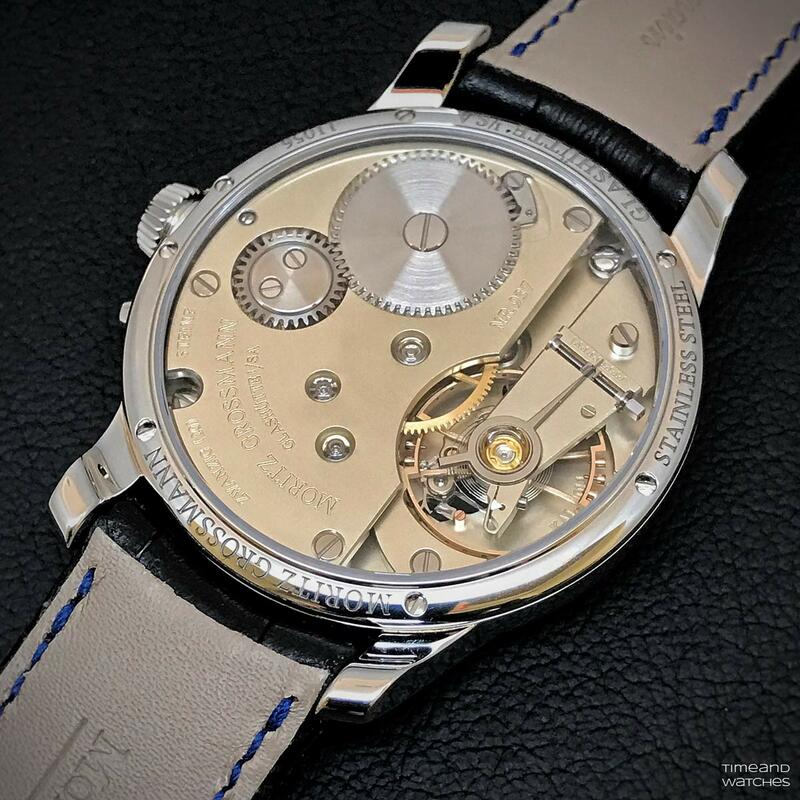 The first new Pure model that we are here presenting is the ATUM Pure L - where L stands for "Long Hole" - which maintains three key features: 41.0 mm x 11.35 mm steel case, Pure Classic finish for the manufacture calibre 201.1, and see-through dial which exposes the structure of the movement behind it, including the characteristic winding mechanism. The ATUM Pure L is available with a stainless steel or a black DLC steel case and, for each case version, it is possible to choose among four colours - white, blue, green and orange - for the "Hy-Ceram" filling used for the lancet-shaped hands and the prominent hour markers. 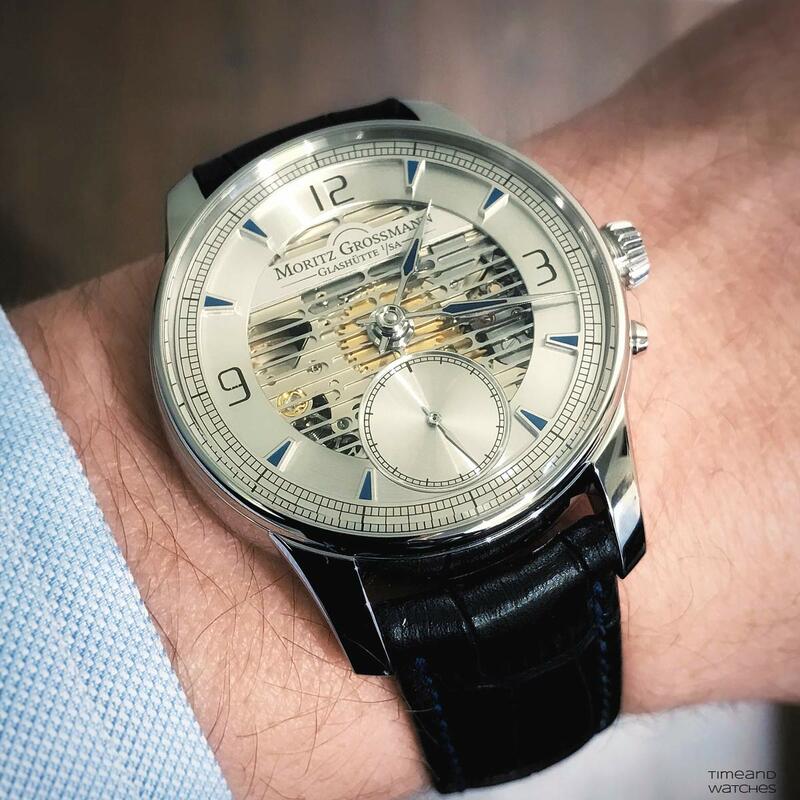 The ATUM Pure L is equipped with the in-house designed and manufactured calibre 201.0 whose finishes and architecture can be appreciated through the sapphire crystal display back. 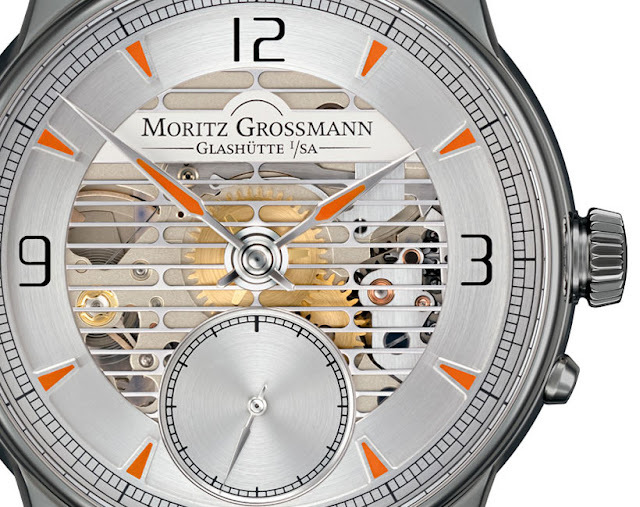 The German silver plate is shot-peened with glass beads for a resulting matt surface. 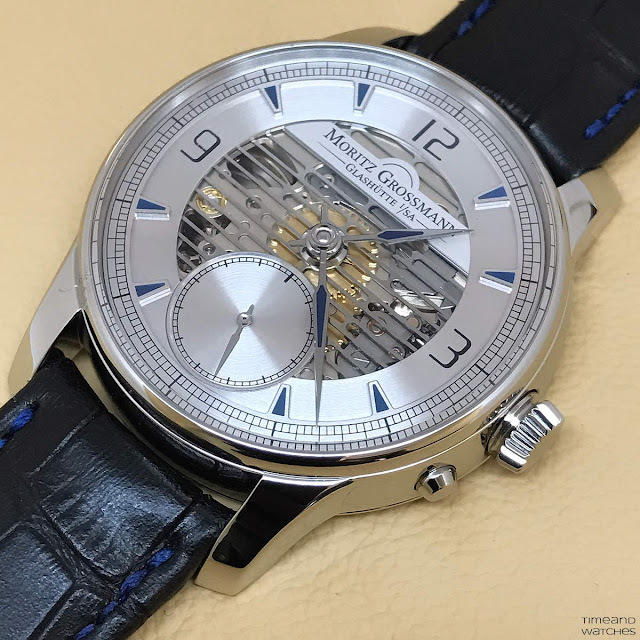 The white sapphire bearing jewels, a Grossmann hallmark, are pressed directly into the plate while the movement screws are polished flat and retain their steel hue. 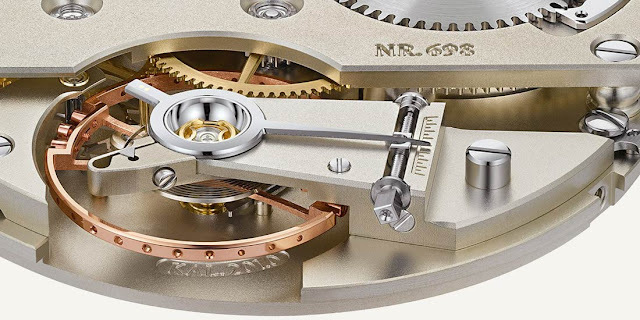 Beating at 18,000 vibrations per hour and offering a 42-hour power reserve, the calibre 201.0 movement embodies some of the manufacture's most prominent proprietary developments such as the Grossmann balance, the modified Glashütte stopwork, and the Grossmann manual winder with pusher. 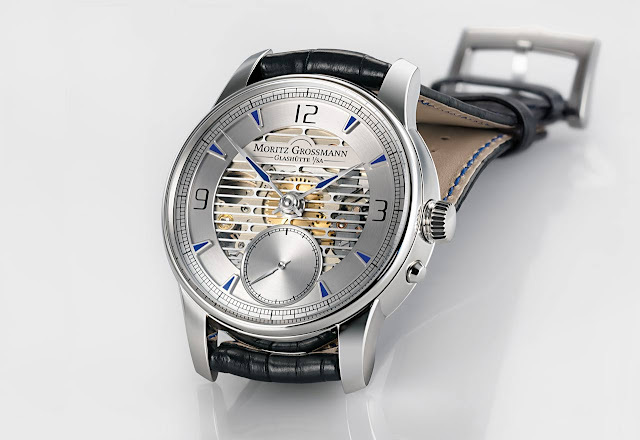 The characteristic Grossmann balance is paired with a hand-shaped flat hairspring that has two bends. Because the curb pin remains free, the adjuster curve can be accurately centred. Design modifications make it possible to adjust beat and rate separately without removing the oscillator. Time and Watches: Moritz Grossmann - ATUM Pure L "Long Hole"
Baselworld 2017: Moritz Grossmann ATUM Pure L. Following the ATUM Pure M introduced in 2016, this year Moritz Grossmann is enriching its Pure family with new dial variations. The first new Pure model that we will be presenting is the ATUM Pure L - where L stands for “Long Hole”. 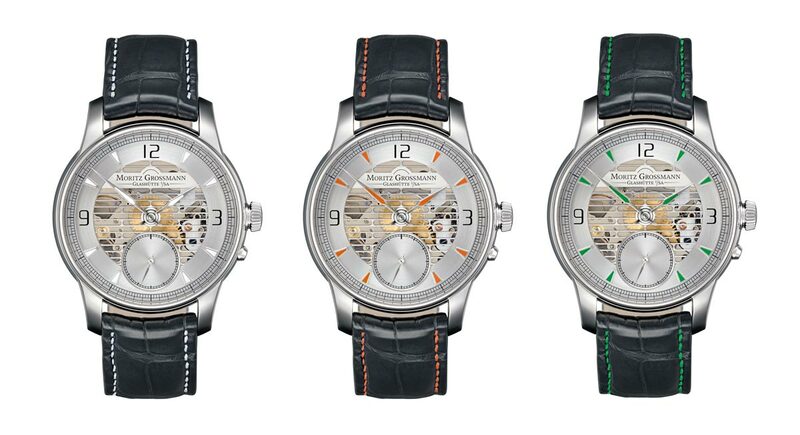 The Moritz Grossmann Pure L is produced in limited editions of 25 watches per colour and dial version. Prices: Euro 12,800 in stainless steel or Euro 13,500 in black DLC steel. 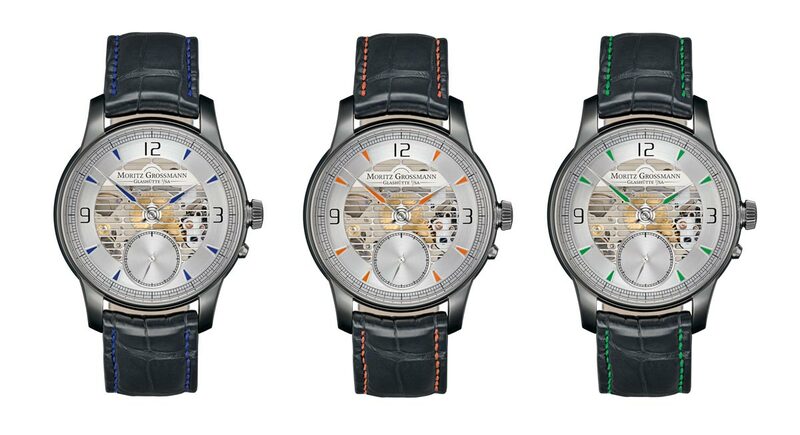 Moritz Grossmann watches. Moritz Grossmann novelties 2017. Basel 2017.